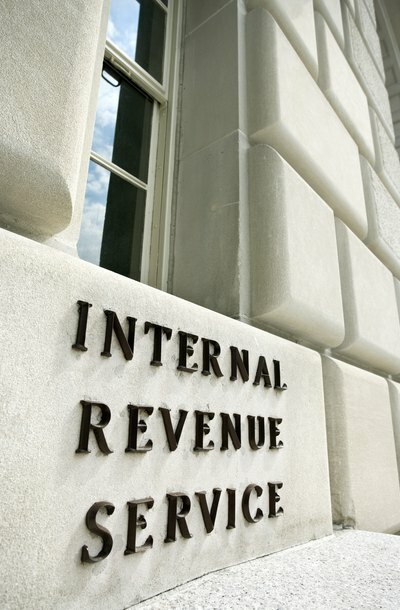 The IRS imposes several conditions on S corporations. An S corporation may have no more than 100 shareholders and may issue only one class of stock. It must have been established under the laws of a U.S. jurisdiction, and none of the shareholders may be non-resident aliens. Partnerships and corporations may not be shareholders in an S corporation. The corporation may not engage in certain lines of business, such as providing insurance or certain financial services. If your corporation already exists but does not meet the requirements for S corporation status, you will have to restructure it before becoming an S corporation. If your corporation does not yet exist, start by selecting shareholders and a principal office address, appointing a registered agent to receive official notices on behalf of the corporation, and identifying the maximum number of shares the corporation is allowed to issue. Next, obtain an articles-of-incorporation form from the secretary of state in the state where the corporation will be based, and fill it out according to the instructions provided. Articles of incorporation are typically one-page documents, and the information required from state to state varies slightly. Have the articles of incorporation signed by the shareholders, and send them to the secretary of state along with the required filing fee. After filing the articles of incorporation, draft corporate bylaws that specify how the corporation is to be governed -- which corporate decisions must be made by the shareholders, how shareholders will be notified of meetings, how many directors the corporation will appoint, and similar corporate governance issues. Corporate bylaws do not have to be filed with state officials, but may become important in the event of litigation. As soon as the secretary of state files the articles of incorporation, your corporation comes into existence and is classified by the IRS as a C corporation, to be taxed under subchapter C of the Internal Revenue Code. To switch to S classification -- assuming your corporation qualifies -- file Form 2553, a one-page document, with the IRS. There is no filing fee. Many state tax authorities also recognize S corporation status for state income tax purposes as long as the corporation files the appropriate state documentation. A regular corporation, also known as a C corporation, can make an election with the Internal Revenue Service to receive special tax treatment as a small business corporation under Subchapter S of the tax code: The C corporation is then considered an S corporation. This designation changes only how the corporation is treated for tax purposes. The IRS has established a list of requirements that a C corporation must be able to satisfy to qualify for the election. An S corporation can have a maximum of 100 shareholders, none of those shareholders can be limited liability companies, corporations, or nonresident aliens, and it can have only one class of stock. The IRS requires all shareholders to consent to the election in writing.